. Art by Apricot Jams . In prepping for a workshop presentation that beautiful thing happened where I got called out in the preparation. Post Imbolc in a winter full of deep emotional purges shown by the redness of my face and heavy eyes. of the magician is no joke. wellllllll, maybe it is though? I mean it is the realm of expression for the jokester. Aren’t jokes where we learn to laugh at our shadow and the inherent polarity of this spectacle of a human experience? This is the realm of the shaman, schizophrenics, Fearless dreamers, Hermit artists, revolutionaries staying up all night studying, tHe nikola teslas, etc..
With NO GUARANTEE of success this archetypal experience is undoubtedly the expression surrender and acceptance of the unknown. Always plunging into the the depths of the unknown the magician befriends this space and learns to master it. between intuition and anxiety or fear. Only you can truly know that difference. Guidance always shows up, its a matter of being a “see’r” IN every situation that manifests in your life and knowing its happening for your own transmutation and well being. and the passive side is the “Denying” Innocent One. It wasn’t until I read Scott Jeffreys Article that I really saw how the shadow trickster had been running the show in my life. The detached manipulator for me was coming from this space of “I am the atman (eternal cosmic soul) and not the “self” and while “I” find this to be a universal truth. (A very important one) It is most certainly not an excuse for the lack of responsibility for mistakes and the effect i’ve had on others, no matter the trauma or lack of respect i’ve received from them. The Denying innocent one was illuminated thru my first experience with ayahuasca over 2 years ago. A major awakening to the helpless victim tendency leftover from a traumatic childhood. Facing and Finding more of the deepest fears and depths of my psyche and OWNING them. ALL OF THEM. One of those fears is integrating these new perceptions on reality I know to be avant garde. All this information that’s been shared with me via plant medicines, shamanic initations, downloads during heightened states of consciousmess, etc.. My experience of the magician archetype thus far has challenged the core of who I am over & over. As more of them come to light I find myself in a deeper embodiment of truth and purpose. The shift in consciousness on earth right now is monumental. 5th Dimensional awareness is THE catalyst. central concepts to the Andean Cosmovision. community (ayllu) shows up to help. Ayni is enacted in every moment. Be it energetically or physically. We are in an open interchange with the energy around us. Emptying used tea bags into a garden, yard or plant pots. Volunteering with friends or organizations cultivating the earth. Taking a deep breath before a meal, picking a vegetable, or hugging someone. 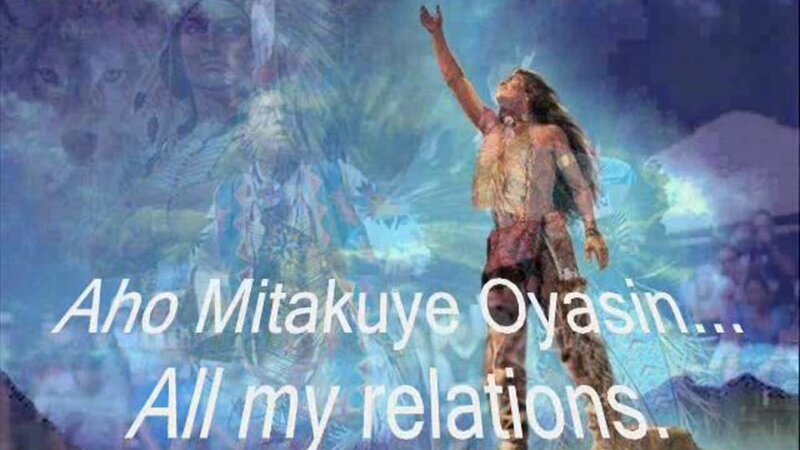 I see many similarities of Ayni and “Aho Mitakuye Oyasin” of the Lakota peoples. It’s an honoring of your totality. This moment right now while you are reading this does not exist without all of your relations. The elements, the food you’ve ate today, your ancestral line, all of your organs churning away to keep your body afloat are something we acknowledge when we say Aho. To acknowledge energy exchanges with people, land, plants, the elements. etc..
is to honor your relations to it. that Ayni & Aho carry. Energy essentially equals matter. They are interchangeable. their in lay the minutia of your AYNI. Peru, Tricksters, Ayahuasca & Yoga.